224 pages | 34 B/W Illus. 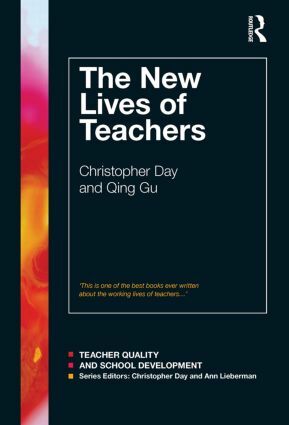 The New Lives of Teachers examines the varied, often demanding commitments on teachers’ lives today as they attempt to pursue careers in primary and secondary education. Building upon Huberman’s classic study, it probes not only teachers’ everyday lives, but also the ways in which they negotiate the pitfalls of professional development and the different life and work ‘scenarios’ that challenge their sense of identity, well-being and effectiveness. The authors provide a new evidence-based framework to investigate and understand teachers’ lives. Using a range of contemporary examples of teaching, they demonstrate that it is the relative success with which teachers manage various personal, work and external policy challenges that is a key factor in the satisfaction, commitment, well-being and effectiveness of teachers in different contexts and at different times in their work and lives. The positive and negative influences upon career and professional development and the influences of school leadership, culture, colleagues and conditions are also shown to be profound and relate directly to teacher retention and the work-life balance agenda. The implications of these insights for teaching quality and teacher retention are discussed. This book will be of special interest to teachers, teachers’ associations, policy makers, school leaders, and teacher educators, and should also be of interest to students on postgraduate courses. Chris Day is Professor of Education at the University of Nottingham, UK. Qing Gu is Professor of Education at the University of Nottingham, UK. With the continuing concerns of governments worldwide about teacher quality, raising standards and student well-being and citizenship, the series provides coherent, authentic, thoughtful and communicative portraits of the contexts and conditions for understanding and enhancing teacher quality and school development. The aim of this series is to bring together, disseminate and communicate original and authoritative experience and research which will ‘speak to’ teachers, teacher educators, researchers, and other research user communities such as teacher associations, and policy making/implementation organisations.